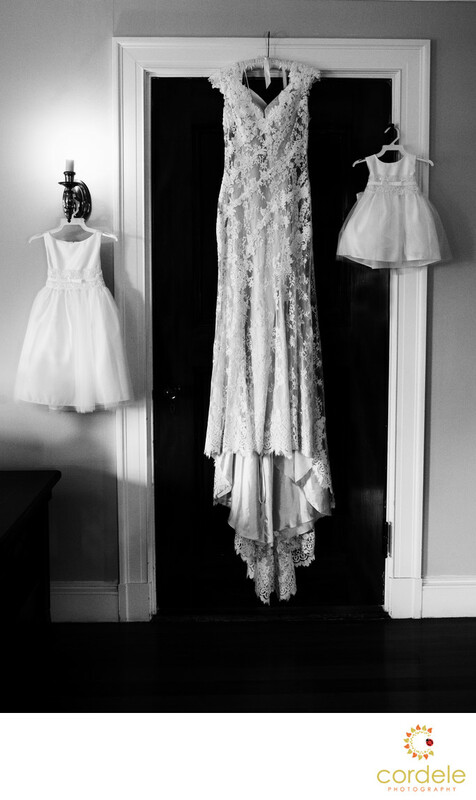 A bride hangs her wedding dress on the back of a door with a junior bridesmaid and a flower girl. This black and white photo is one of our favorites from the Dedham Massachusetts Wedding Venue the Endicott Estate. I love the angle of this photo and the different sizes of the dresses compared to each other. The bride wore a beautiful lace overlay gown that looked stunning! Location: 656 East St, Dedham, MA 02026.